If you want to find out more about the South Wales 2021 Festival in aid of the Royal Masonic Benevolent Institution your Area Chairman or Lodge Liaison Officer will be able to answer all your questions. 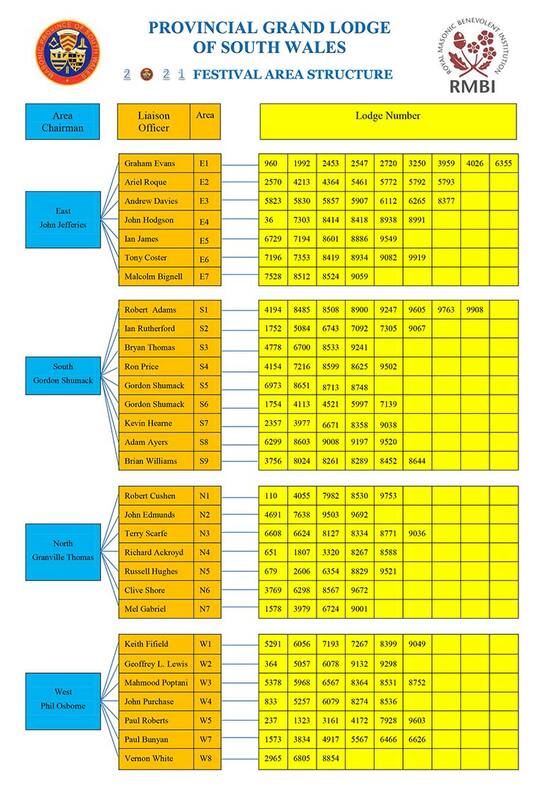 Use this Area Structure Tree to identify your Lodge’s Liaison Officer and Area Chairman. You can also follow the 2021 Festival on Twitter @southwales2021 or find us on Facebook: facebook.com/southwales2021festival/. This entry was posted on Thursday, April 5th, 2018 at 2:22 pm	and is filed under 2021 Festival.